1. Download LINE App (if you have not downloaded it yet). 3. Forward these stickers to any of your five friends . 4. 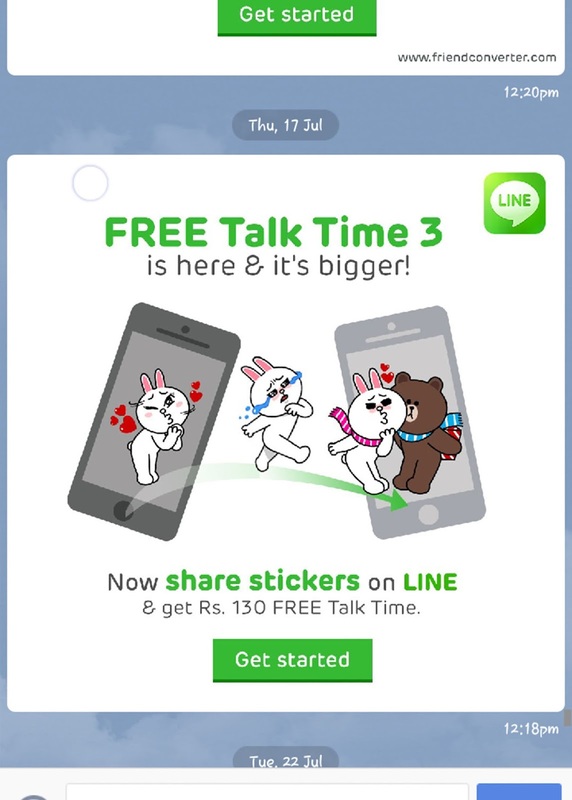 After that you will get a link as message from LINE, click on it & get your free recharge. Hurry Limited period offer !!! We are already discussed about best free recharge earning apps for android users, here I'm including a new member for that list. Eureka is one of the most trusted and monthly paying app for android users,every 30 days you using eureka it will send you a 30 Rupees recharge via iPaytm (payment proofs are given in the bottom of this article). After installing Eureka you will see relevant ads on your home screen and you need to swipe or click any option in home screen to unlock your phone.The advantage of this app over other paisa earning apps is that ads appearing on home screen are lesser, and you can also set your ad interest that helps only relevant ads appears on your home screen. Rewards are in the form of talk time top up or mobile bill discount. This app is only available to android users and Indian mobile networks. ★ You can also find your last visited ads on "My Eureka" section inside the app. ★ You can favourite the ads ,if you want to looks again, it will visible in "favourites" section. ★ Reward related info will be show in "my rewards" section. Radar beep is a new emerged android app aims to detect speed cameras and speed radars on the road while you are in driving and get away from traffic fines. This app comes with ad support and you can remove these ads by spending few bucks for it. After installing, open the app and accept terms and conditions. Now you need to select your country and radar beep will download your nearest locations. When you are in driving mode Radar app will find speed cameras or radar placed ahead and it will alert you where it get detected. You can easily turn on the app from home screen of your smart phone using radar beep widget. Once you select your country, Radar Beep will download the appropriate locations for you. From the users feedback I can find that the app showing very accurate camera and radar detections, also the app already gains 4+ star on playstore. 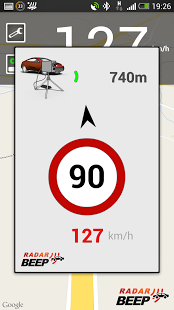 Also it will show a map as you drives , and that can tell you how many speed cameras or speed radars on the road.